Amsterdam. For 25 years this shop has been an important part of the learning history in the Warmoesstraat. But time change. 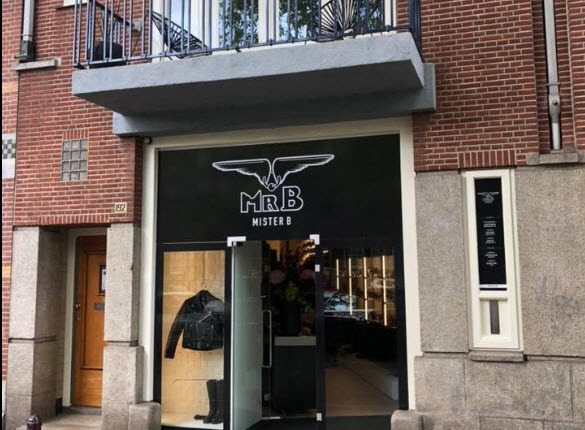 The Mister B flagship store moves to Prinsengracht 192, near the Homomonument. On 26 August, the store will close in the Warmoesstraat and on 1 September the doors of the Prinsengracht 192 will open. The Warmoesstraat has changed considerably in recent years by mass tourism. The store became an attraction for tourists and this repels the customers of the store. By the hordes of tourists who came in, who often laughed at what they saw and laugh to the visiting buyers and even make humiliating selfies . The location is no longer suitable for the target audience who want a certain discretion. The new store (open September 1) will focus exclusively on their customers and not on people for their Instagram selfies. The new owner, Nelson Sousa da Cunha, who has taken over the chain from the founder Wim Boss, takes a decisive decision to keep the brand under constant development. Mister B now has brand stores in Amsterdam, Berlin and Antwerp and concept stores in Copenhagen and Frankfurt and in the Shop-in-shops. Mister B sails from the beginning of the Canal Parade and will be important to represent the leather scene. At the moment, there is already a municipal ban in the Warmoeestraat and surroundings for groups with guides without a permit ,but often see guides going around without permission.